Preston seniors, along with Mrs. Grendell, Principal of Preston High School, mark the dedication of the new Engineering Lab designed by the Engineering Tomorrow Foundation. The foundation's mission is to attract high school students to the engineering field by introducing them to real world engineering projects that illustrate how the math and science they study is applied. 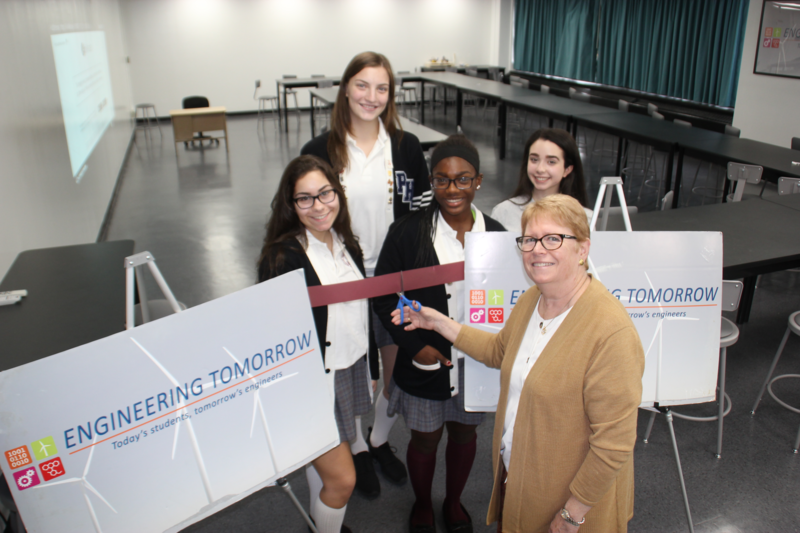 PHS will serve as host for the programs that Engineering Tomorrow and its engineer-volunteers offer to our students and to students throughout the Archdiocese.